What do you think of Blue for Christmas? I am a member of Linder Heller’s stamping school website http://www.stampingschool.com/ and this is where I got the idea for this card from. To create the background I used scotch removable tape to create a mask around the border of the shimmery white cardstock and used my brayer and marina mist ink. 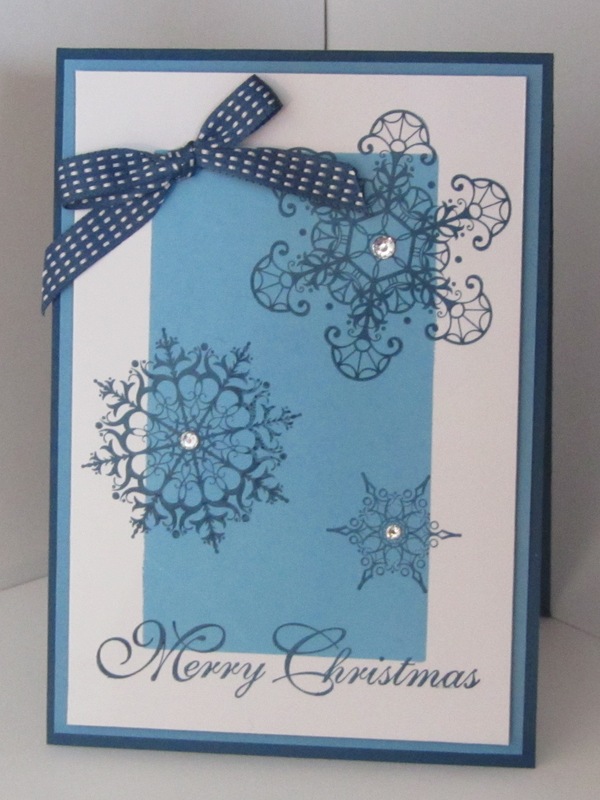 I then removed the tape and then stamped the snowflakes on top with my midnight muse ink. Do you want some happy mail? I have a few of these cards ready to send – leave me a comment and send me an email at anna.mathieson@xtra.co.nz with your postal address and I will pop one in the post to the first five people to respond.